CLA has been busy in the studio so far in 2019 mixing projects for a number of artists including Badflower, In Flames, Pretty Vicious, Poesy, Friday Pilots Club, Springsteen, Brantley Gilbert, Keith Urban, Taylor Upsahl, Pink, Carrie Underwood and more! Pink was honored at the 2019 Brit awards and performed a medley of her greatest hits mixed by CLA. The new Badflower album "OK, I'm Sick" mixed by CLA dropped on February 22nd. Check out the video for the first single Ghost by clicking Read More! The Avantone Pro CLA-200 Studio Reference Amplifier is a classically designed Class A/B amplifier. We took particular care to create an amplifier in the traditional studio style, with generous VU meters, high quality Japanese components and a serious toroidal transformer linear power supply. Get directly involved in the world of CLA with mix critiques, events, the latest news on gear and merchandise and more! Join the mailing list now! Chris Lord-Alge is a 5-time Grammy-award winning American mix engineer known for his use of dynamic range compression in both hardware and software plug-in versions. Chris Lord-Alge gained notoriety while working at Unique Recording Studios, New York City in the 1980s for his mixing on James Brown's Gravity album (which included the hit song "Living in America"), the Rocky IV soundtrack, Prince's Batman soundtrack, Joe Cocker's Unchain My Heart album, Chaka Khan's Destiny album, Carly Simon's Coming Around Again album, Tina Turner's Foreign Affair album and 12" remixes of Madonna's "La Isla Bonita", the Rolling Stones' "Too Much Blood" and Bruce Springsteen's "Dancing in the Dark", "Cover Me", and "Born in the U.S.A.". While working in Japan (1995–1997), he worked with Tetsuya Komuro, No! Galers, Namie Amuro and hitomi. 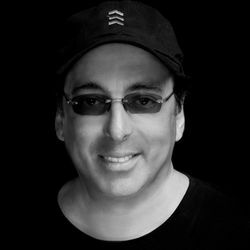 Chris, and his brother Tom Lord-Alge are known inside the music industry for crafting their mix with an abundant use of Compression (an audio dynamic control tool) for molding mixes that play well on small speakers and FM radio. In early 2010, Waves Audio released the Chris Lord-Alge Artist Signature Collection of audio plug-ins, a collection of 6 application-specific audio plug-ins for Bass, Drums, Effects, Vocals, Guitars, and Unplugged. Slightly before that, Waves had also released a collection of CLA-branded compressors, labelled the 'Classic Compressors' bundle, featuring the CLA-76 (Urei 1176LN), CLA-2A (Teletronix LA-2A) and CLA-3A (Urei LA-3A). These are among Chris's favourite dynamics units.